Discussion in 'ASUSWRT - Official' started by thiggins, Jan 3, 2018. But if you go to the AiMesh page as directed, there are only the download links shown above for the RT-AC86U, RT-AC68U and RT-AC1900. The best thing to do is hit the support page for your router and check for a firmware version 3.0.0.4.384.1xxxx . 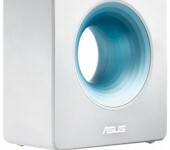 Be advised that, in typical ASUS fashion, AiMesh is a work in progress. So don't expect smooth sailing. sm00thpapa, vanic, jben and 2 others like this. 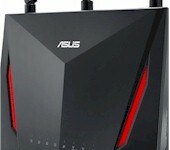 Asus has a good solution with its new AiMesh system, which lets you repurpose your existing Asus routers as part of a mesh network. For now, the mesh support is coming to a few routers today in beta, including the ASUS RT-AC68U, RT-AC1900P, RT-AC86U, RT-AC5300, and the ROG Rapture GT-AC5300. with additional support planned for the RT-AC88U and RT-AC3100 later this year. Be interesting to see how this affects the Merlin project, is this something that could be integrated and improved upon? I've opened an thread for discussion of the Official AiMesh release 3.0.0.4.384.10007. Yes the RT-AC66u_B1 did get the Aimesh. Upgraded mine this morning and the Aimesh was there. SystemF and scjr like this. 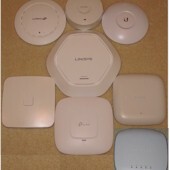 Will it offer any roaming features, or will it be like some extenders where you walk from 1 part of a house to another, and it takes like 30 seconds for the device to realize it, and then another 10 seconds to disconnect and reconnect to the stronger AP that is using the same SSID? Can you use it similarly as an AP? I have ethernet cables everywhere and I am unsure if it uses an wired ethernet backhaul or not. It does support wired backhaul. I use it that way. Fail back ISP2=Ziggo (Cable), speed = 200/20 Mb/s | Modem - Technicolor Docsis 3.0 (Cisco) EPC3928AD, DMZ for Router. Access Point Indoor - TP-Link EAP330, HW=V2, Firmware = (EU)_V2_1.4.0 Build 20180925, Wifi = 5 GHz only. 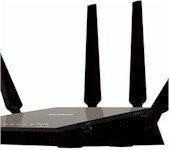 connected to TP-Link TL-ant5819ms outdoor-2 x 2 MIMO sector-antenna (5 GHz, 19 DBi), Wifi = 5 GHz only. That is good to hear, as I have wired backhaul throughout my house. How is your setup working for roaming/handoff between points? I'm debating 2 RT-68u's setup are AiMesh with wired backhaul, versus 3 UAP-AC Lites setup as AP's. Thanks. I am debating a similar situation. As you folks are pondering making networks from multiple three and four-stream routers, keep in mind too much power (in the form of more MIMO streams) is not always a good thing. You can set reduced power settings to solve this, right? Reducing power might help. But you'll need to do it manually and the allowed settings may not reduce power enough. 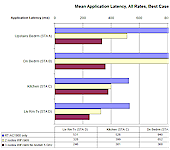 You cannot reduce power output when using a US-sold router. Adjusting transmit power is one of the tools used to properly balance AP systems. The control was available on many of the recently reviewed AC1200 APs. Ah, I thought you meant all routers. Thanks for clarifying.